On bioenergy, advanced biofuels and renewable fuels, a number of EU funding programmes are available for supporting projects from research and technology development, as well as pilot ones (with low Technology Readiness level, TRL ) to near market-entry technologies, processes and products (high TRL) for the benefit of European industry and SMEs. The EU funding opportunities are grounded on a common financial strategy, the Multiannual Financial Framework (MFF), which is a stable basis for implementing the budget of the European Union over a period of at least five years. Hence, the funding programmes identified by ETIP Bioenergy are foreseen for the 2014-2020 period (except for measures managed by the European Investment Bank – EIB – Group, which follows a different rationale). The Investment Plan and European Structural and Investment (ESI) funds are measures supporting research and innovation in risky sectors, in a complementary and synergic way with other policies. making smarter use of financial resources. 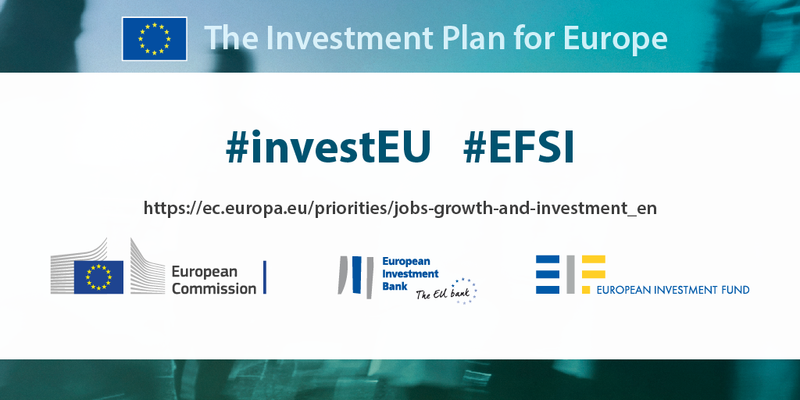 last, advice on how to set up Investment Platforms (aiming to finance smaller projects and bundle funds from different sources to enable diversified investments with a geographic or thematic focus; they are supported by EFSI – see p.1). Together with the Hub, there is also the European Investment Project Portal (EIPP). The EIPP is a matchmaking portal for promoters and investors. EU-based, project promoters upload their projects on the portal, to increase visibility in reaching potential investors worldwide. Investors can access to a list of viable opportunities (or directly financing SMEs and Mid-Caps), in several areas. Resources and Environment: Natural Resources, Agricultural and Rural Development, Forestry and Bioeconomy; Resource Efficiency and Environmental Protection including Blue Economy, Climate Change. 3) Removing regulatory barriers to investment both nationally and at European level, for an improved business environment in the European Union. The European Structural and Investment (ESI) Funds is a package of about total €450 billion over the 2014-2020 programme period. It is managed as the EU’s main investment policy at EU Regional level, by the DG REGIO the Commission department responsible for EU policy on regions and cities. the European Maritime and Fisheries Fund (EMFF). The ESI package focuses on a total of 11 objectives, one of which is research and development. The support is mainly delivered in the form of grants or through financial instruments (loans, guarantees and equity investments). Calls of Horizon 2020 are listed on Funding & tender opportunities (the Single Electronic Data Interchange Area – SEDIA), the portal of the European Union for searching and applying for all EU funding opportunities. Through calls for proposals, the European Commission selects, on a competitive basis, organisations or natural persons to implement projects co-financed by EU because they contribute to EU policy aims. Calls can cover different topics as well as several TRLs. Calls directly linked to bioenergy, biofuels and renewable fuels are generally listed under Societal Challenges – Competitive Low-Carbon Energy. In addition, some related aspects of biotechnology, sustainable feedstocks and transport innovations are included under other call topics. All calls are accessible selecting “grants” and other criteria from the box of the left side. To have an overview of all expected last calls for proposals 2019-2020, it’s important to access to the latest Work Programme (WP) Secure, clean and efficient energy v2.0. All the WPs and related updates are available under “Reference documents”of Funding & tenders opportunities portal. 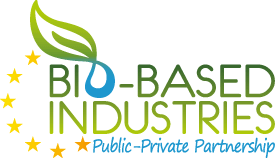 As part of Horizon 2020, there are also calls which are expression of the periodic goals of the Bio-Based Industries Joint Undertaking (BBI JU), a Public-Private Partnership between the European Union and the Bio-based industries Consortium (consisting mainly of RTOs and industries). In the period 2014-2020, a total of €3.7 billion investments in bio-based innovation are going to be implemented, combining €975 million of EU funds (Horizon 2020) and €2.7 billion of private investments. In addition, capital markets and private and public funds (e.g. thanks to synergies with ESIS) will be leveraged as well. Markets, products and policies: develop markets for bio-based products and optimise policy frameworks. All information on annual calls for proposals and other funding of interest are accessible here. ERA-NET Cofund under Horizon 2020 is designed to support Public-Public Partnerships (PPPs), including Joint Programming Initiatives (JPIs) between Member States, in their preparation, establishment of networking structures, design, implementation and coordination of joint activities as well as Union topping-up of a trans-national call for proposals. It is implemented by using "programme co-fund actions". It allows for programme collaboration in any part of the entire research-innovation cycle. The main and compulsory activity of the ERA-NET Cofund under Horizon 2020 is the implementation of the co-funded joint call for proposals that leads to the funding of trans-national research and/or innovation projects (one co-funded call per Grant Agreement). ERA-NETs are a key instrument for joint programming actions within the SET Plan, since one of the objectives of the SET Plan is to create funding synergies on a big scale between the entities responsible for public funding programmes and the Commission. In addition, ERA-NETs contribute to achieving the objectives of the European Research Area (ERA). They can play a key role also in achieving the goal of the Energy Union of moving away from a fragmented system characterised by uncoordinated national policies, towards an integrated European R&I approach which accelerates the transformation of the energy system. Information on conditions and steps for proposals’ submission are provided, in addition to official EC channels, also by the EU-funded project ERA-LEARN platform . All funded projects on bioenergy, biofuels and renewable fuels are available on CORDIS. CORDIS is the Community Research and Development Information Service is the European Commission's public repository with all information on projects funded by the EU's framework programmes for research and innovation. Projects can be browsed from 1990 till nowadays (from FP1 to Horizon 2020), under “Projects and results” area of the website. Information on project results can be found also information by browsing “Results Packs” and latest news on “Research*eu magazines”, available from the same platform. Another very useful source of information is provided by the Innovation and Networks Executive Agency (INEA) website, with the list of H2020 projects managed by the agency under Biomass, Biofuels & Alternative Fuels. “Evolution not revolution” is the claim chosen by the European Commission last 7th June 2018 for presenting main features of Horizon Europe, the new research and innovation programme for the period 2021-2027. Researchers and entrepreneurs working on bioenergy, biofuels and renewable fuels will find calls of their interest under Pillar 2 – Global Challenges and Industrial Competitiveness. It is expected that it directly supports research relating to societal challenges, reinforces technologies and industrial capacities, and sets EU-wide missions. It also includes activities pursued by the Joint Research Centre (JRC) which supports EU and national policymakers with independent scientific evidence and technical support. Other information will be provided once the new programme will be more advanced. Mission Innovation (MI) is a global initiative launched in occasion of COP21 on November 30, 2015, aiming to reinvigorate and accelerate public and private global efforts in clean energy innovation. It is one of the key strategic fora for the EU's international cooperation in clean energy RD&D. MI members share a common goal to develop and scale breakthrough technologies and substantial cost reductions. They intend to achieve it by seeking to double public clean energy research and development investment for a period of 5 years from 2015. The first implementation meeting for MI was held in early 2016. Some months later, in June 2016, the European Commission, on behalf of the European Union, joined MI providing €150 million on MI-relevant calls by 2020 (through Horizon 2020). In addition, the European Commission is engaged in all the 8 Innovation Challenges (ICs), which are global calls to action aiming at accelerating research, development and demonstration (RD&D) in technology areas that could provide significant benefits in reducing greenhouse gas emissions (GHG), increasing energy security and creating new opportunities for clean economic growth. The relevant IC for ETIP Bioenergy is IC4: SUSTAINABLE BIOFUELS. Periodic events at ministerial and international level are organized to foster joint actions between Countries on selected topics. The “Innovfin – EU Finance for Innovators” consists of a suite of tailored financial instruments of managed by the European Investment bank (EIB) Group, providing financing to support both research and innovation by companies and promoters of research infrastructure. Firms and other entities located in EU member States and Horizon 2020 Associated Countries are eligible to become final beneficiaries. Typically, the EIB provides between 35% and 50% of the project or investment cost and is often key in attracting other investors from the public or private sector. An interesting facility for ETIP Bioenergy stakeholders is the Energy Demo Projects (EDP): it is a facility for loans, loan guarantees or equity type investments to risky first-of-a-kind energy demonstration projects at the pre-commercial scale. Tailored to address the financing bottleneck identified in the EU’s Strategic Energy Technology (SET) Plan, the facility involves projects in the fields of energy system transformation, such as renewable energy technologies, smart energy systems, energy storage, carbon capture and storage (CCS), or carbon capture and use (CCU). They may relate to innovative energy system assets, manufacturing processes or services, supporting the further rollout of innovative low-carbon energy technologies to the market. The available budget for this facility is up to € 800 million and single proponents are the norm. The criteria used by the EIB for choosing the project cover: scope, innovativeness, readiness for demonstration at scale, prospects of bankability (revenue stream), commitment and replicability. The application process starts with proponents applying to the EIB on the website and a subsequent pre-screening of the proposal. After the confirmation by the EC, there is a due diligence process which should end with the official approval. Then the EIB provides loans of max 15 years, covering up to 50% of project costs. The EC (via the Horizon 2020) provides guarantee on loan covering the riskiest phase of the project. The European Commission adopted on 15 July 2015 a legislative proposal to revise the EU emission trading system (EU ETS), which includes the creation of an Innovation Fund (access to “Finance for innovation: Towards the ETS Innovation Fund”). As announced by the European Commission on 26 February 2019, the Innovation Fund will pool together resources amounting to around €10 billion, depending on the carbon price. At least 450 million allowances from the EU Emissions Trading System (EU ETS) Directive will be sold on the carbon market in the period 2020-2030. The revenues of these sales depend on the carbon price, which is currently around EUR 20. The Innovation Fund will include also undisbursed revenues from the NER 300 programme. Thus, the total endowment of the Fund can be around EUR 10 Billion.